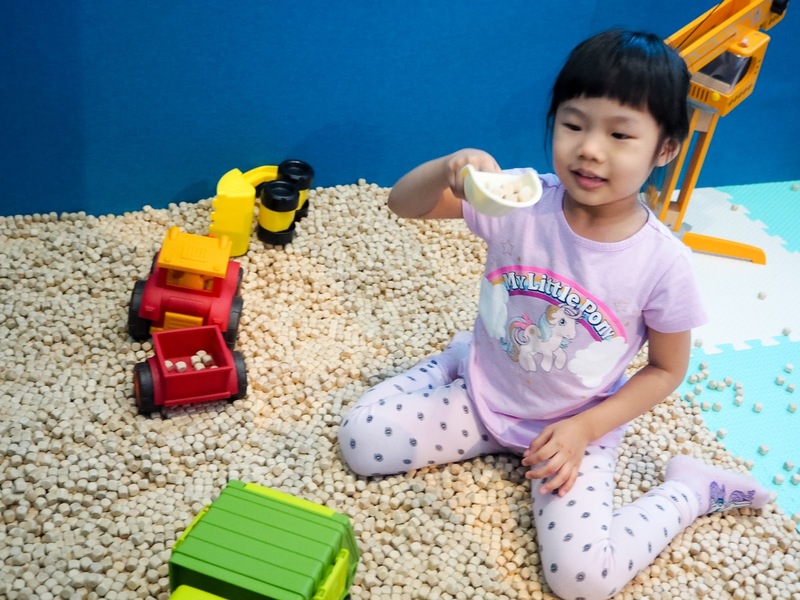 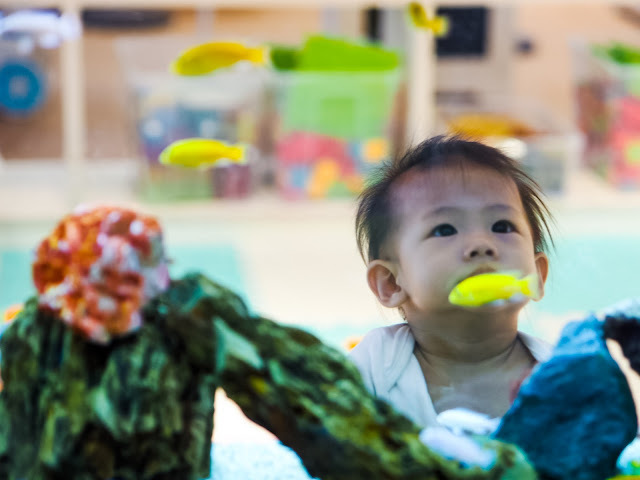 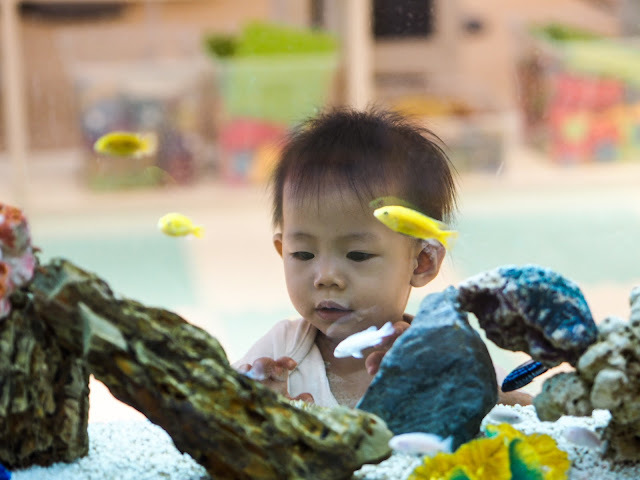 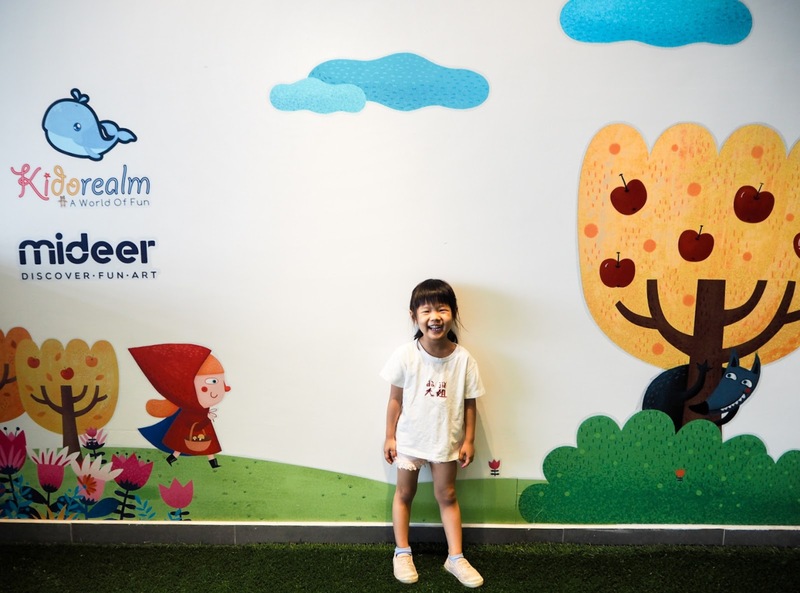 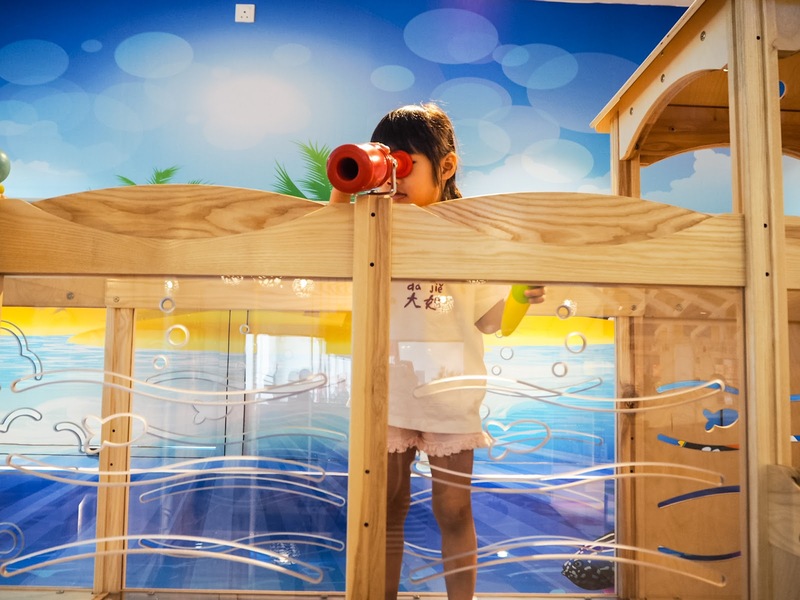 Kidorealm is a newly open indoor playground in Sunway Geo Avenue, this play space has loads to offer for kids age 6 months and above, this playground is ocean themed, there is an aquarium that'll keep your kids fascinated and an amazing ocean-themed mural for one of the walls. 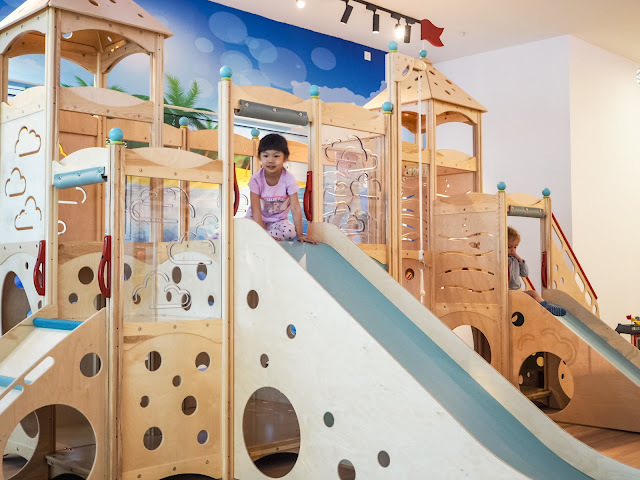 The environment is clean and tidy and it's well equipped with lots of role-playing material for your kids to unleash their imagination, arts and craft activities to keep your kids busy, and a large main play area for your kids to explore. 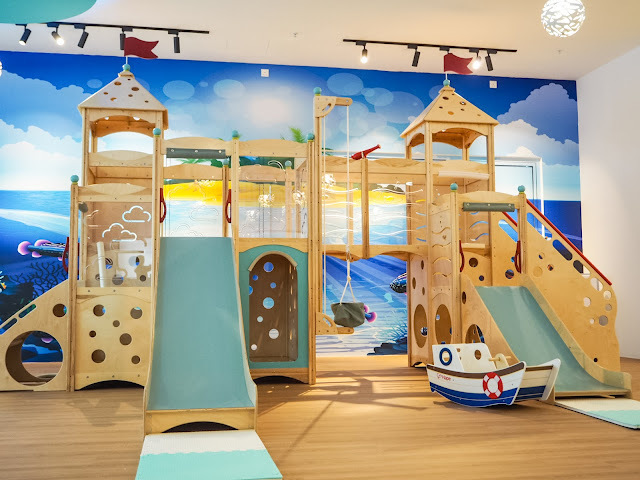 Parents can play right alongside with their kids ensuring an unforgettable family experience. 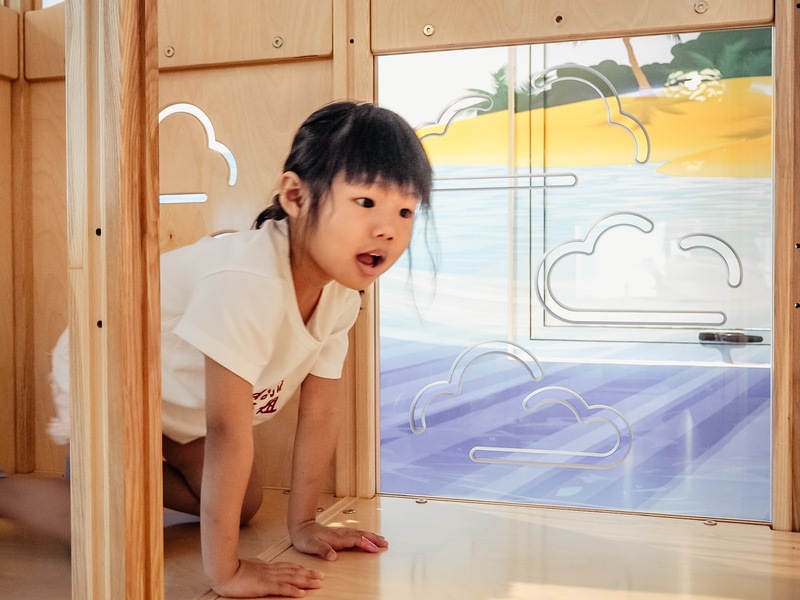 Kidorealm features a spacious play area designed around the ocean theme with slides, ladders, passageways to explore and even a see through bridge. 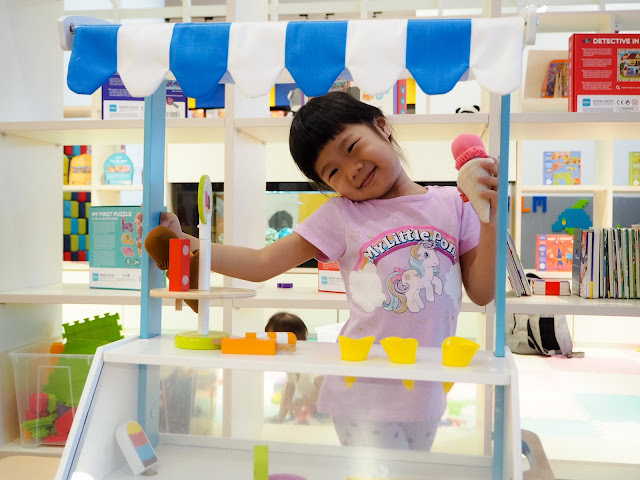 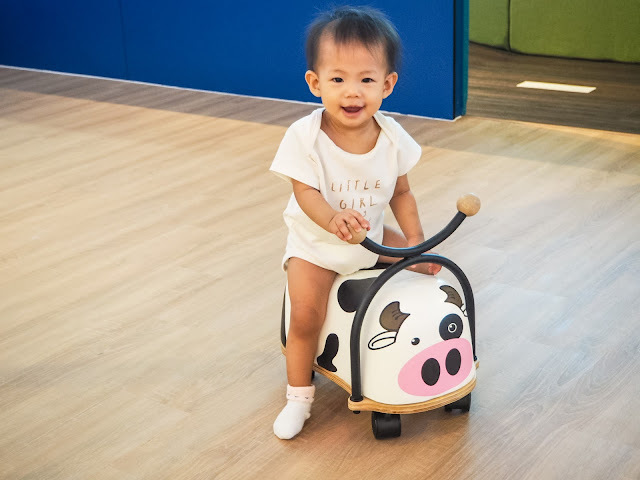 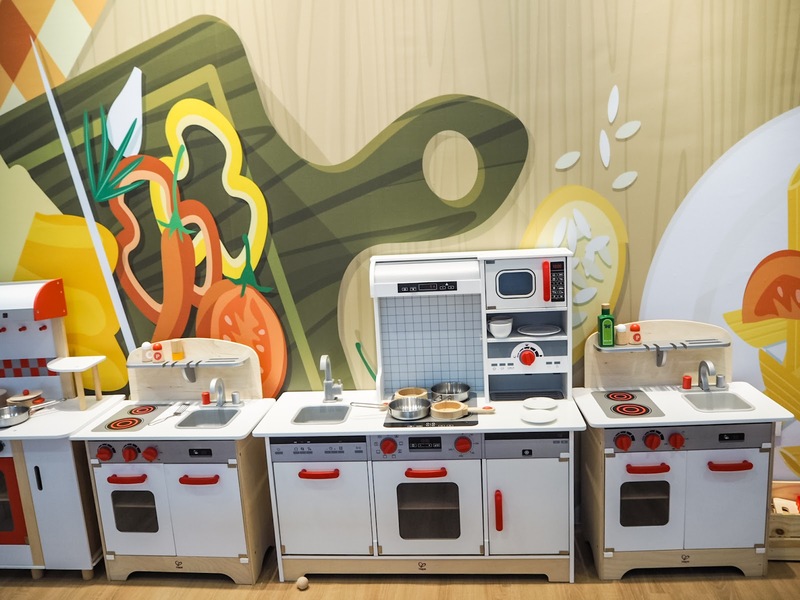 Kids can also exercise their imagination with the eco-friendly wooden toys here, there are kitchen set up around, Miya learned how to scoop her first scoop if ice cream here. 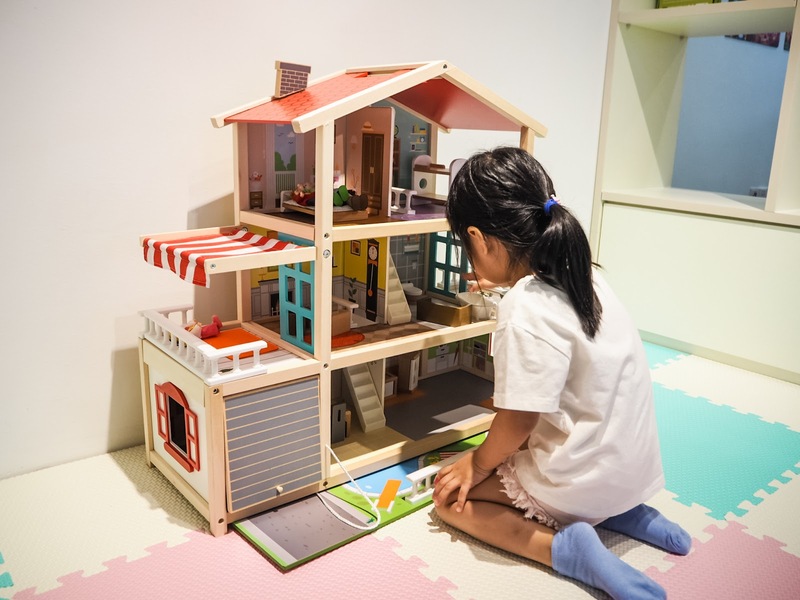 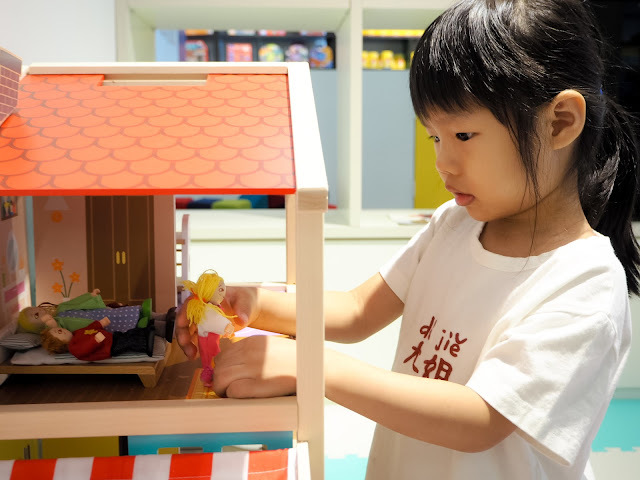 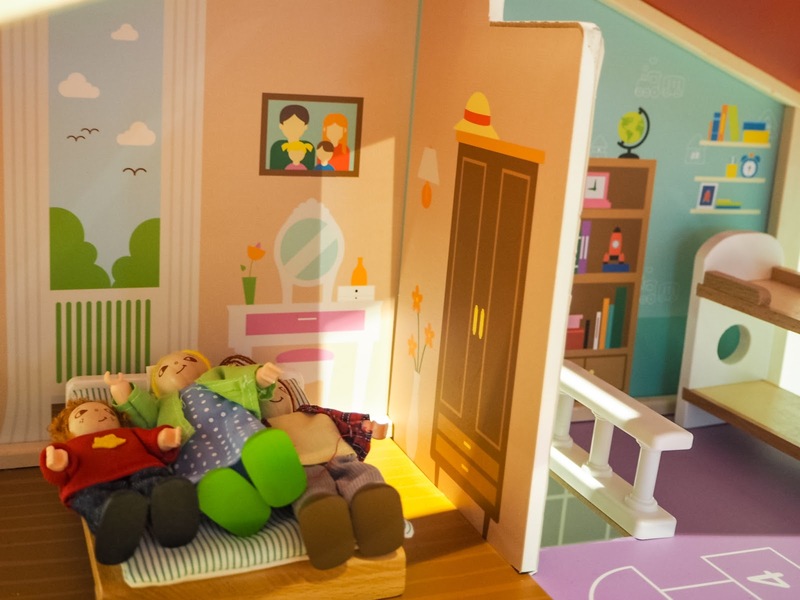 There are also doll houses for your kids to expand their imagination, just look at my little girl, she's so concentrated playing pretend with the characters. 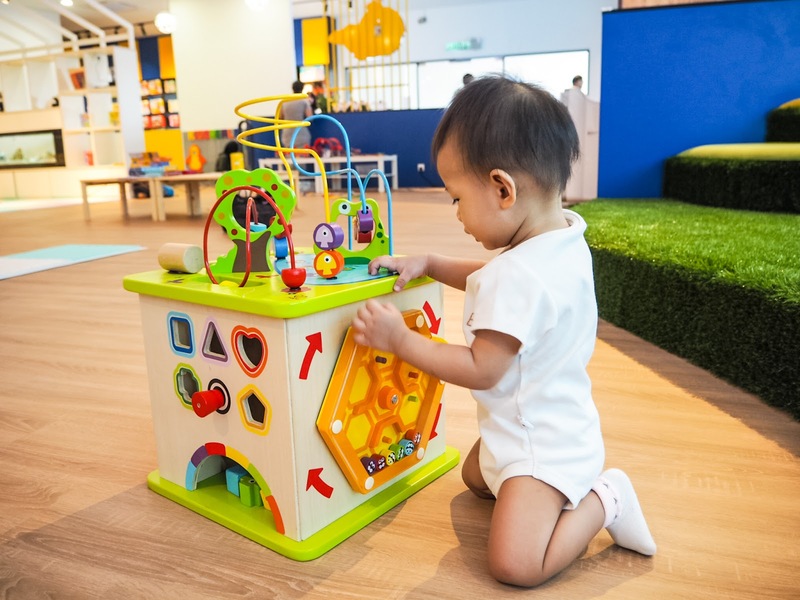 For younger kids and babies, there is an activity box they can play with and enjoy. 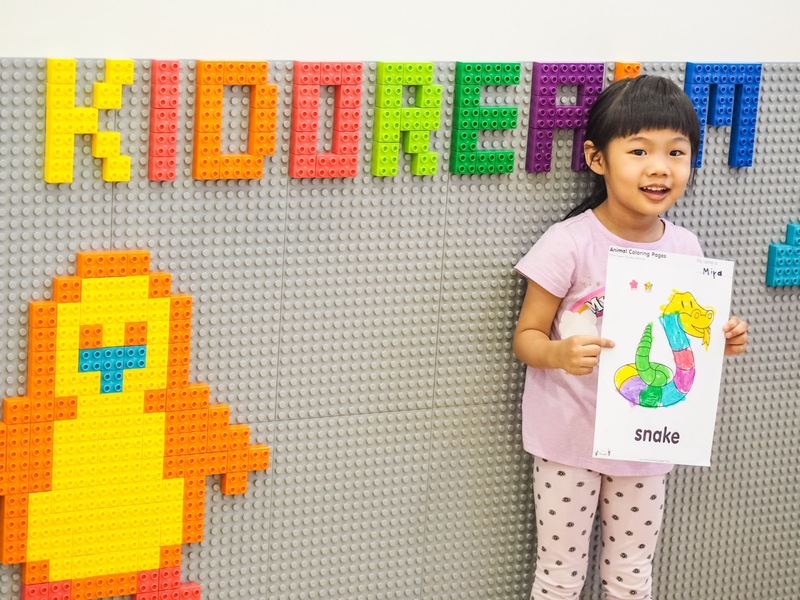 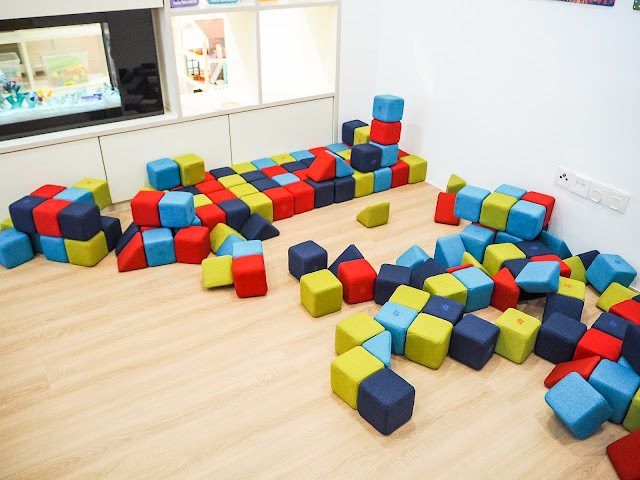 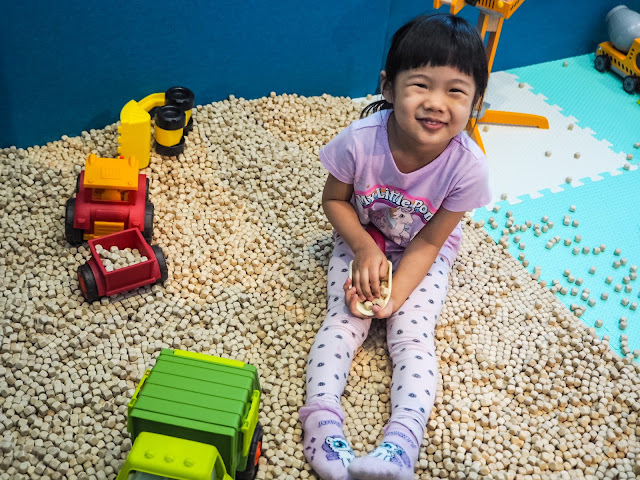 The fun at Kidorealm doesn't stop, one of my favorite area is the study area, packed with a wide choice of books for kids for all ages, you'll also find blocks and lego, the floor is padded so your kids can play comfortably. 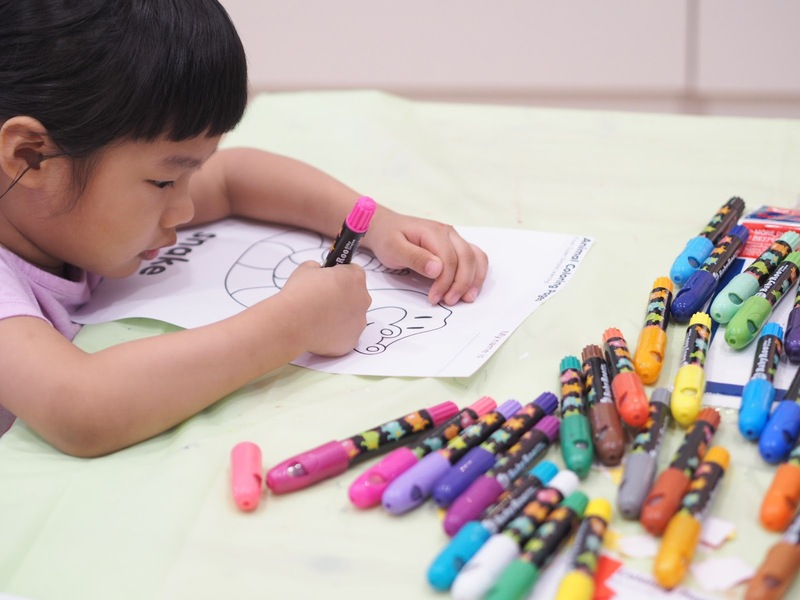 Arts and craft session is available Wednesday 11am, Thursday 3pm, Saturday 11am and Sunday 3pm, and it's free for all customers. 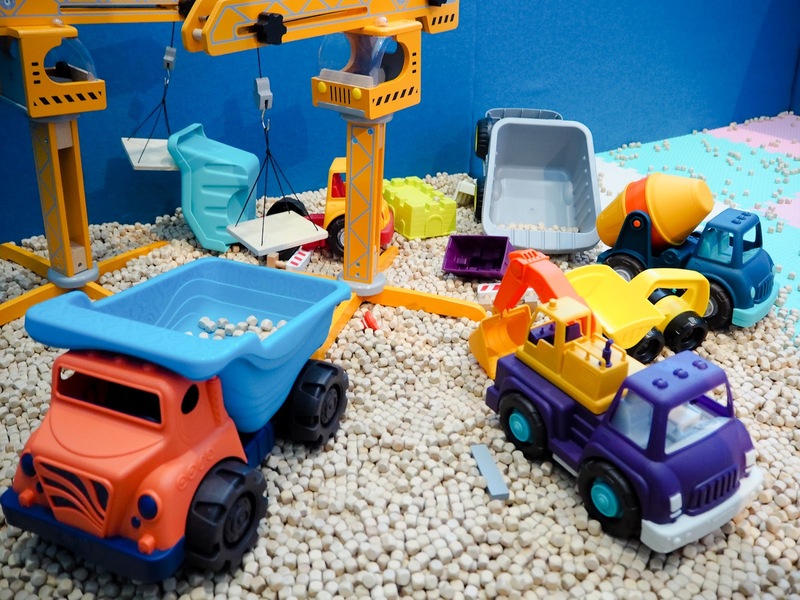 Did I mention instead of a sand pit at Kidorealm they have a truck play area? Let your kids dig into imaginary play, I took the chance to teach Miya the different types of trucks and how trucks transport blocks to a construction site, and then build with the blocks. 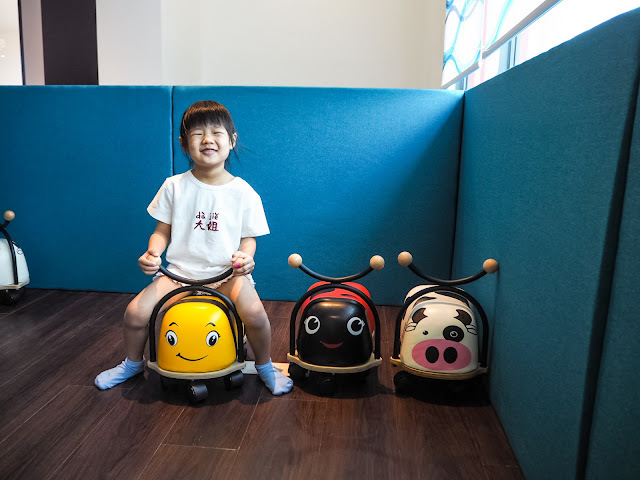 Last but not least, here is Miya and Mina's favorite area, a small hill that allows them to ride down in these adorable animal rides. 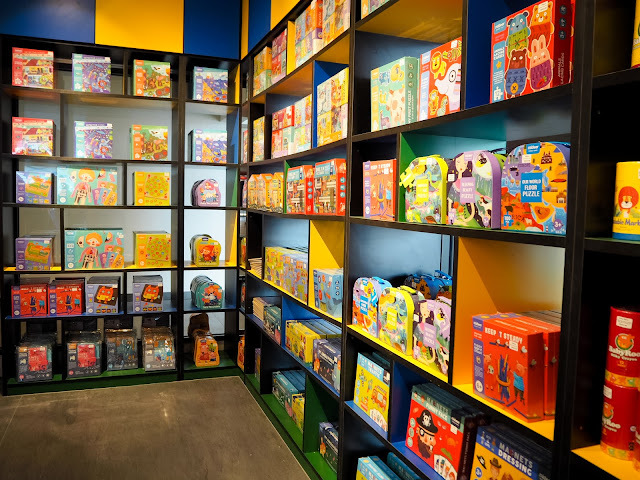 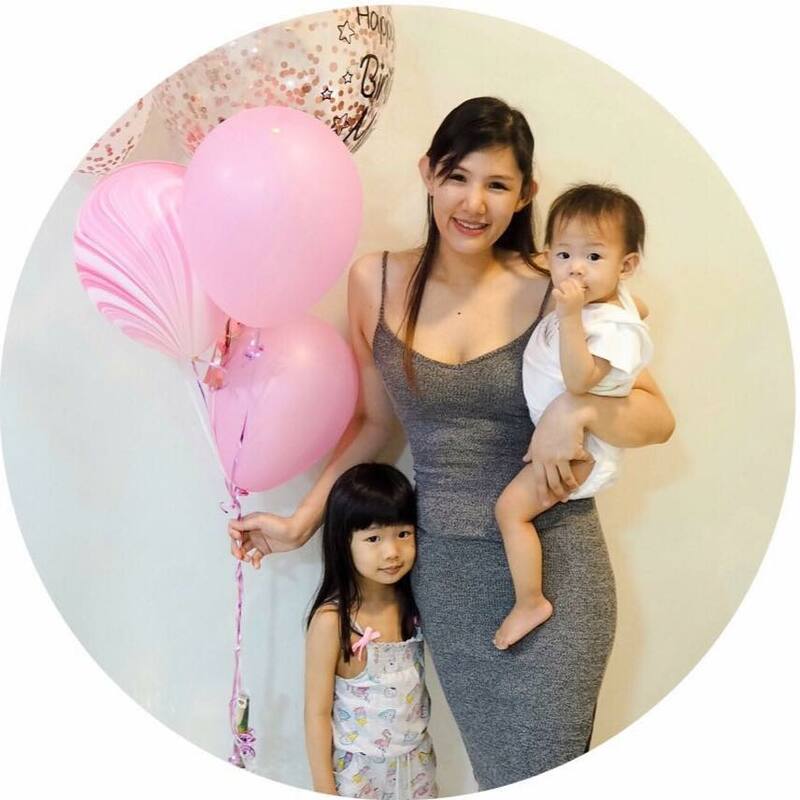 Kidorealm also carry a wide range of educational toy and learning games for kids that are both effective learning tools which stimulate toddlers' and preschoolers' brain development while still being actually enjoyable to play with!